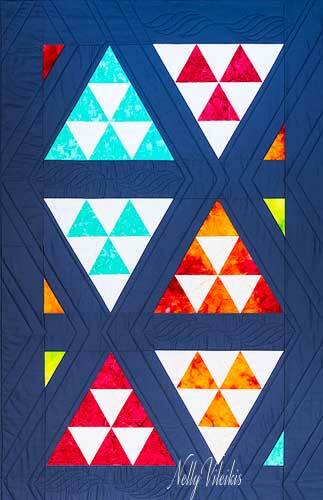 Working with Nelly’s 60-degree triangle ruler, the perfect strips of fabric and employing one of her fast yet accurate construction techniques, create this fun, modern quilt top. 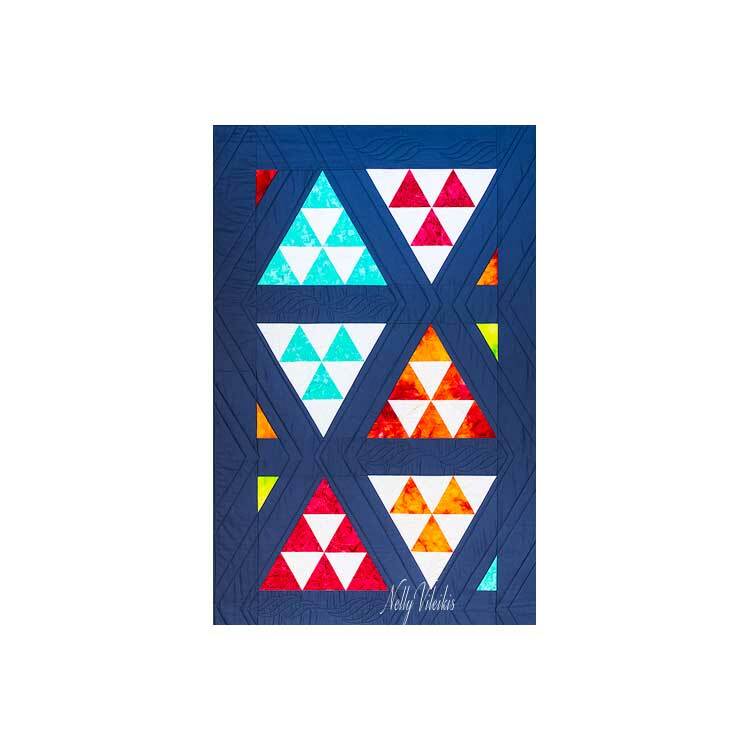 Learn to join pieces on the bias, place colors and accents for drama and discuss quilting options to bring out the motif. Can easily be finished as a small table cover, a skinny wall-hanging or even a bed runner. It is easier than it looks and not dangerous at all!